By making certain appointments ahead of time with the Missouri Department of Revenue (DOR), the Show-Me State will show you less time spent waiting in line at your local DOR office. Keep reading to find out what kinds of appointments you can make, how to make them, and what you'll need to bring for your scheduled DOR office visit. Don't forget, you might ultimately be able to avoid a trip to the DOR by taking advantage of the driver and vehicle online services offered by the state. For now, you may only schedule appointments ahead of time for commercial driver license (CDL) road skills tests. All CDL behind-the-wheel exams are administered by the Missouri State Highway Patrol's Driver Examination Division. So, when you're ready to take the CDL road exam, you'll need to contact your local State Highway Patrol Troop to make a testing appointment. If you need to change or cancel your appointment, contact the Troop location you're scheduled to test at as soon as possible. 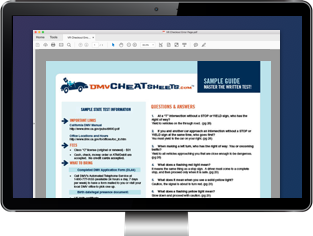 You won't have to waste time making multiple trips to the CDL testing station, as long as you have all the required materials. Take a look at our guide on Applying for a New CDL in Missouri for an idea of what you'll need to bring to your appointment.